I ordered a simple Last Will and Testament on February 14, 2019 and was supposed to have this document no later than February 18th, 2019. It is now April 15th, and I am on hold again with customer service looking for my documents! I have called numerous times with promises of action, but unfortunately, this has created more problems. April 11th my original order was cancelled as information I had entered was not duplicated on their format. A new order was placed on the 11th and I completed the information again on the 12th and submitted. Once again this is stalled as it shows payment is due on this order. I have already paid for a product I never received and was told to disregard the notice. Brings us up to date on April 15th, 2019 and again on hold with customer service trying to find my documents! I used Legal Zoom as a quick way to put together a legal Last Will and Testament after I found out I have terminal stage 4 cancer. I would have been ahead of the game going to attorney from day 1, no hassles, no headaches and have a will in place. So the customer representative just came back after 10 minutes on hold and has no reason why this is held up again and cannot override the system to show the will has been paid for. I just requested a full refund and I will go to my attorney and have this drawn up.WASTE OF TIME, MONEY, AND NUMEROUS HEADACHES! NEVER RECOMMEND TO ANYONE. I gave them $295, then $683. It's been 4 months with the back in forth. I have been waiting for my refund because I dont like their business and it's been taking a while just to start my business so I cancelled my order and been. Everytime I call legalzoom I am on hold for a very long time. They keep giving me a store credit. I dont want a store credit give me my money back please. Dawn Watts was very knowledgeable and patient while giving me answers and solutions for the few questions I had. I am extremely happy with how quickly I received help from her and grateful I chose LegalZoom! I registered a company through legal zoom ,and as everyone knows that you can be your own registered agent. They proceeded to call me numerous times and email about 30 times in the last few months after me telling then I do not need their services. I am not sure how but they just took 400 out of my account without me authorizing it. Truly disappointed at how low a lot of these companies are going these days. No integrity and character..stay away from these guys for sure. Hi Joe, our registered agent service is only offered as an option to our business customers and we assure you all fees are outlined in the questionnaire and your order confirmation. We offer the option to elect LegalZoom to serve as your agent or name another (including yourself) but we truly apologize for any miscommunication or misunderstanding on our part. We are happy to review your account & help resolve this. Please contact a manager directly via help@legalzoom.com. In the first part of the info they do mention the additional $159 that you will be charged. But when you are looking at your final cart the price tag shows $0 with a note (Will not be charged until filed with State). Very misleading with the 0 dollar sign.Then on top of that they charged us $249. I called in and got the extra $90 reversed. Not happy with being misled like that on both accounts. Hi Brianna, we are very sorry for any misunderstanding or miscommunication on our part. Please note the questionnaire explains the initial payment will not include the registered agent fee and is not billed until the entity is filed with the state; reason being is because the service does not begin until the entity is submitted - this means your initial invoice will say $0 for the service because it is not being billed at that time. In your order confirmation, there is also highlighted information that explains when the service is billed. If you wish to discuss this further, please feel free to contact a manager directly via help@legalzoom.com. When I email, it takes about 1.5 days to respond to my email. I expected within same day turn times to respond to their expressed customers. If in case their customers have urgent matters, they would be answered within same day. As for call back over the phone, they only tried calling me back once and my phone had an issue which hung up. Therefore, I missed the opportunity to speak to representative just because the phone line got hung up and disconnected. Legal zoom should attempt to call their customers back second time to confirm. How I know legal zoom doesnt call back second time? Because I called and the automated sustem said I have a pending call back in the file and ask me to continue to wait, however no second call was made. We are so sorry for the poor experience you’ve had; you deserve better. We’d like to fully review the details of your account & try to make things right. Please contact help@legalzoom.com for resolution and we assure you a manager will respond. I contacted and contracted LegalZoom to form an LLC for me. Unfortunately, a mistake was made on the initial filing and an amendment was filed. I was sent form via email and promptly filled the forms and send them to LegalZoom. I called the same day faxed the documents back to them. I was informed they had the documents. The next day, I followed up and was again told the documents were there and being processed. Three days later I received a call informing me they still needed the documents. I asked why I had been told they received the necessary documents and now need them. The agent could not answer the question and I then asked for a manager to call me. It is now a week later and I still have not heard from management at LegalZoom and I found out today, in spite of emailing the documents earlier this week, they had AGAIN not been received even tho a agent told me on 4 days ago they were in receipt of the documents. I asked again for a manager and was told again it would take up to 3 days for a manager to call me. This is frustrating. I paid for expedited service for the original service and now, a month later nothing has been resolved and I can't open my new business and I am losing thousands of dollars a day. Thanks for nothing LegalZoom. The worst part is the request for a manger to call me back and being completely IGNORED! Hi Alex, we're sorry to hear you weren't happy with your experience and we would like to try to make things right. Please reach out to a manager directly via help@legalzoom.com with your order information & we’ll try our best to resolve things. We look forward to making your experience a better one. Amanda was knowledgeable and helpful. The Legalzoom website was a bit confusing but the legal help was excellent. Time and money well spent. If you want your business to be a success, do NOT use LegalZoom. They have been stealing from me for years and ignore my requests to end service. My only option now has been to notify my bank of their fraud and if I want to recoup my money I would have to take them to small claims court. Hi Matthew, we're truly sorry to hear about your experience and happy to review your account in effort to resolve this right away. We'll reach out to you directly but please also feel free to contact a manager directly via help@legalzoom.com. I called Legal Zoom and requested to change my sole proprietor to a PLLC. I specifically stated I do not want a new EIN requested. The sales rep told me that would be no problem at all & he would refund that fee. Then, I called back to confirm some information & the other individual confirmed that a new EIN would not be requested. However, they requested a new EIN. I have spent 2 hours on the phone with Legal Zoom requesting guidance and assistance and they're unable/unwilling to answer my questions or provide any guidance on resolving this issue. I paid extra to expedite formation of the LLC and am left spending hour and hours & money trying to get an answer. Do not waste your money on this service. It's easier to fill the forms out yourself and you know as much as they do as the individuals at Legal Zoom are unable to answer any follow up questions. Hi Amber, we are truly sorry for any misunderstanding or miscommunication on our part. We will review your account & do everything possible to resolve things. Please also feel free to contact a manager directly via help@legalzoom.com. Kris, really awesome. Walk me through some things that I would having a lot of trouble with and made it really easy to understand. If you guys had an entire team of people like Kris you will be really special. Hi Donald, glad to hear you had a great experience. Please do not hesitate to contact again with any additional questions or concerns. Legalzoom did absolutely nothing to dissolve my non profit! In Michigan, you have to get approval from the attorney general and then file the dissolution with LARA. All of which I did on my own. Legalzoom said I needed to do that before they could move forward with the dissolution. I also started this process in September and In December I noticed my case was still not moving forward after several phone calls. It was discovered there was a glitch in their system holding up my case. I finally received the docs from Legalzoom saying the dissolution was complete but the docs they sent ARE THE DOCS I FILED WITH THE STATE!! When I asked for my money back they refused. I do not recommend this service to anyone and you can be sure I will tell everyone I know to never use them! Hi Amanda, it is very important to us to try and correct the situation when a customer feels there has been a misunderstanding or an error in the service and/or product at LegalZoom. We do our best to make sure every customer is happy and it seems we fell short of that goal in this situation. We'd like an opportunity to try to make things right. Please feel free to contact a manager via help@legalzoom.com at your convenience. 1. They do not value new clients businessyou are just another number. 2. Communication is not a value that they embody. 3. They seem to be very unorganized. 4. The frontline associates do not have a clue on how to help you. It doesn't seem like they are given much training to help you as a customer. 5. Their interest is not in the best interest of your business. 6. Upper management is not available for customers to talk with. The next two points are simply facts. We took our business elsewhere and where able to get done what we were going to pay LegalZoom for 10 times less that what LegalZoom was charging us! 8. They are a headache to deal with. We are happy to say that are business is with Northwest Registered Agents and they from beginning to the end were extremely helpful, knowledgeable and more importantly, DID NOT once pressure us into buying anything from them. They were simply there to offer us guidance and truly propel our business forward. We just want to be clear, before this incident we had no relationships with Northwest Registered Agents and are not getting paid to saying this. They were a great help and we felt like they genuinely cared for what we were trying to accomplish without all of the headache! What's more, they helped us without us paying them a dime for the services we were being charged from LegalZoom. 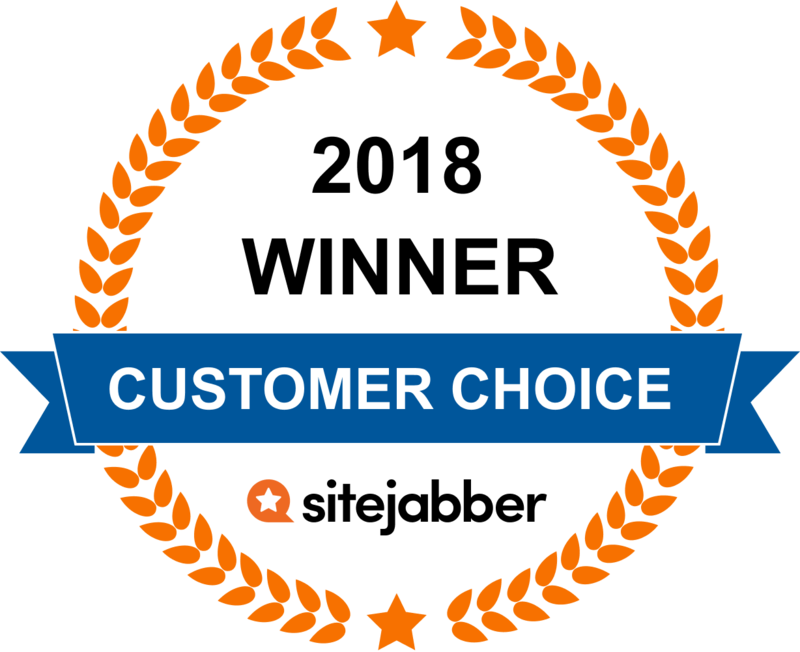 This is our experience, our opinion and It is truly up to you to decide if LegalZoom is for you BUT for us we would NEVER give LegalZoom our business now or in the future. Hi, we do our best to make sure every customer is happy with our service and it seems we fell short of that goal in this situation. Usually orders & any cancellation process goes more smoothly and we apologize that you experienced us at less than our best. Your comments and experience are important to us and we appreciate your feedback. We'd like an opportunity to try to make things right. Please contact help@legalzoom.com & we'll be sure a manager reaches out to you directly. I hired Legal Zoom to be our registered agent. Our new renewal notice came, and I noticed they had nearly tripled the price from last year. I hired someone else for $99 (instead of $399 legalzoom was charging.) I notified them to cancel on Dec 11, 2018, they refused. I notified them again on Dec 27, they again refused. I notified them in writing on Jan 1. My renewal date is supposed to be January 3, but they charged me 6 days early so they could rip me off for $400 by refusing to cancel my service. I have filed a BBB complaint against them since changing the due date was done deliberately to steal money from a customer instead of allowing the customer to cancel. Do not do business with these theives under any circumstance. UPDATE- I have now been going round and round with them for over a month. They will not respond to emails at all. Hi Lily, we're so sorry about your experience. Our registered agent subscription fees have recently increased to include additional services that many of our customers find beneficial. Having our registered agent service is always optional and if a agent change has been made, we are more than happy to cancel your LegalZoom subscription. Please feel free to reach out to a manager directly via help@legalzoom.com with your account information so that we may resolve things right away. I have 3 accounts with LegalZoom that go back several years. Unfortunately my experience with thier current staff has been a ridiculous waste of time as the usual interface is dropped calls and over 30 minutes of hold time(and this after they call me). They are incapable of transferring an LLC to an authorized owner and will not consider amending this practice under any circumstances. The notice sent out (email) for SOI compliance is neither monitored or protected as a usable document...so a $250 fine is applicable from the state after 90 days. I'm not the first customer to voice this complaint and will not be the last. I can only surmise the front line employees are poorly trained and without recourse to a manager who gives a $&!#. This practice is usually the result of greed or ignorance...of which neither are good for the future. Hi Daniel, we are so sorry for the poor experience. You deserve better. We would like to fully review the details of your account and try to turn things around for the better. We'll review your account & reach out to you directly but please do not hesitate to also contact a manager directly at any time via help@legalzoom.com. My mother created a will using LegalZoom. She died over two months ago, at which time I requested her will from LegalZoom, and still, over 60 days later, have received no legitimate will. When she passed, I called and spoke with a LegalZoom representative and requested a copy of my mom's will be e-mailed to me. I was told that it would be no problem and was asked to e-mail my request and attach a copy of my driver's license and her death certificate. I followed the instructions of this represntative and did as he requested, sending a copy of my personal driver's license and my mother's death certificate. I received a response that, upon review of the document, I was not named the executor of the will and that only that person could request the will. So, knowing that my mother had named her brother as executor, I asked that he request the will and send a copy of his driver's license and my mother's death certificate. After the initial request for a will at the end of September, now, the end of November, he has finally received an unsigned, undated will, with the representative stating that they "have no access to the signed document." What does that mean? Is there a signed document? And if so, who does have access to it? Any legal adviser would know that an unsigned will might as well be a piece of toilet paper. It has no legal legitimacy in any probate court. And this is after routinely waiting 2-3 weeks for responses to email requests, and after being told "2-3 days" several times on the phone over a nearly eight-week timespan. When my uncle complained to LegalZoom that they were not responding and not helping, they said that they had to review the document to make sure he was the executor. And then again a later excuse that it was very important for them to verify who they were sending the document to. It took them one day to determine that I was not named the executor, but weeks to confirm that my uncle was in fact named executor of the will. And to send him an unsigned and undated version. Thanks for making this process as absolutely painful and difficult as possible. Because it has almost been three months since my mother passed and we have not been able to access her will or even determine for certain that she had one, my sisters and I (all ages 21-30) are having to go through the process of having to appoint me the administratrix of my mom's estate, while we pay all of her expenses out-of-pocket. I have consulted a lawyer for legal advise, and if a will does eventually turn up somewhere, my sisters and I have to start the whole process over again. Thanks a lot, LegalZoom! Oh, and not to mention that this illegitimate business has a copy of my driver's license and all of the sensitive information in my mom's death certificate... and for what? I would understand needing that info to provide someone's will. But I don't understand requesting all of this personal info then sitting on it while not completing requests. What are you really in business for? Hi Sarah, we are very sorry for your loss and the experience you've had. Please be advised that once LegalZoom creates the document, it's provided directly to the customer for execution (signing) and storage. We typically recommend that a copy is given to the executor to safe keeping as well. If you mother had the legal advantage plan, she may have also used the estate planning app to upload a copy into her cloud storage. We are happy to help in any way we can. Please feel free to reach out to a manager directly via help@legalzoom.com. and provided me with a lots information ! I had a very frustrating experience with my copyright applications. I had to spend 4 weeks calling legalzoom and still getting voicemails stating my copyright applications had problems and could not be processed, after being assured every time over the phone that everything was corrected. Should have done it myself for less money and stress. I had LOTS of questions on setting up my S-corp and Kara was incredible. I feel as if she saved my days of research! I had a question regarding setting up an LLC with an effective date. I had tried finding whether my state allowed an effective date and couldn't find clear information. Mackenzie was very helpful and asked all the questions she needed to get a clear picture of where I was in the process. They placed their email in my state filing instead of mine. Notices for state annual renewals were sent via email to them not me. I had to re-instate the business with the state at a cost of $750. They refused to admit their error and blamed me. Sad customer service. AVOID! We couldn’t be more apologetic about your experience with LegalZoom. When we make a mistake we want to fix it. In reviewing your account, it appears LegalZoom is not listed your registered agent and you do not have a compliance subscription. Any correspondence from the state would be sent directly to the registered agent’s physical address. We apologize for any misunderstanding and we’re happy to answer any questions or concerns. Please feel free to contact help@legalzoom.com for further assistance. I was having a hard time understanding the payment option details so I went to the live chat and Mackenzie helped me out so much. I know more now than I originally wanted to ask about. I had the pleasure of working with Jason Garcia from LegalZoom who was very attentive to my needs when navigating through my business profile. He was extremely responsive and a pleasure to work with. I signed up to get an LLC package and opted for a payment plan of $136 a month over a 3 month period of time. I was charged a separate charge of $249 that I did not authorize! I made several calls and sent several emails with not response or help. I did how ever talk too 2 different people and was explained that it was a regeistered agent fee. One that's not included in the payment plan that I agreed to and authorized! Now I was also told that $100 of the was for a business license fee from their sister company. When I called them they told me it would cost $299 extra to get the license. All they told me wa go to the tax collectors office and get it there. I was charged $100 for some stupid advice that didn't do a thing to help as everyone knows that's where you have to go! I told them I don't want that service and wanted to be refunded for the charge. I also explained the basic registered agent fee would be fine but not the other stuff and I was told I had to contact the state about it! I want my money refunded for the crap charges the fraudulently made to my account and did not authorize! I filed a complaint with the better business and I'm going to file a complaint with my bank and I'm going to contact the sheriffs department and report them for making fraudulent charges as well if they do not fix what they did! I clearly agreed to the 3 payments not the $249 2 days after the first payment was made! Ya and I never got my company seal as it was included in the package that I am paying for! Hi Michael, our registered agent service is only an option to our business customers. The website explains it's yearly subscription that begins the moment the company is confirmed as filed with the state and not included in your initial single payment or three pay installment selection. Reason being is because this service does not officially begin until your business entity is active. The yearly fee is outlined in our online questionnaire, the itemized breakdown of charges provided prior to payment, the order confirmation receipt and the welcome letter included in your package. We're very sorry for any misunderstanding & we are more than happy to help you in resolving this matter. We've reached out to you directly but please also feel free to contact a manager directly via help@legalzoom.com. I've engaged Legal Zoom in many occasions. Always on time and well within budget. Highly competent professional and knowledgeable staff. Has anyone had experience with Legal zoom creating a living trust? Hi Carol, we also offer legal plans where you can speak directly with an Attorney that can help with any advice or legal questions about your trust. Contact us directly at 1-866-738-2980. We are happy to help get you started. Has anyone used legalzoom for a trucking company? I heard about them from a podcast. I'm about to purchase a truck and go owner Opp and need my llc. Thanks for the info. Hi Jason, we are happy to assist you and talk about our LLC packages & process anytime. Feel free to email us directly via help@legalzoom.com. I would like to start up my own entertainment business. is this a site I can trust to start it up? Hi Analisa, we are here to help and happy to answer any questions or concerns. Feel free to contact me directly via help@legalzoom.com. Why does LegalZoom have low ratings? It is very important to us to try and improve the situation when there has been a misunderstanding or dissatisfaction with our service. We are constantly striving to ensure the satisfaction of each customer & we are willing to review any concerns for resolution. Please feel free to reach out to the social media manager directly via help@legalzoom.com. Hi Susan, we are happy to answer any questions or concerns about our product & process. Please feel free to contact us directly via help@legalzoom.com. In the process of finding the best source to use for my will preparation. Is legalzoom.com any good? Today is July 20. 8am. I called Legal Zoom's phone support 800 773 0888 AGAIN. I got the same automated response that their agents are busy. I waited for several minutes. Nada. Left my return call number. lets see if they will call back. Really? at 8 am and everybody is busy to take a call. I understand they start the help line at 5 am. Still, they do not return calls. Since a Legal Zoom staffer monitors these pages, I might as well ask my question here: I recently filed an application for incorporation in CA. I got the paperwork from the Sec of State. It says its been filed. The information at the Sec of State website says my Corp is active. I understand I am to pay the State an $800 registration fee. When am I suppose to pay this. Nobody's billing me yet. I agree w Stan L. LZ is a great idea but poor executed. How do they compare with price for establishing a charitable organization? Hi Philip, we are happy to discuss our packages & pricing anytime. Please feel free to contact us directly via help@legalzoom.com. Good afternoon, currently I currently have an LLC that i was not able to use since it was setup last year, we just could not start the business, can I change the name and state of operation for the busi9ness through legalzoom? Hi Andres, yes we can assist you with both dissolving your current LLC and the filing of your new LLC. Please feel free to email help@legalzoom.com with any questions or concerns, thanks. H! I was thinking about using legalzoom but see lots of bad reviews. Should I run away? If so where to? Thanks! Hi Adam, it is LegalZoom's goal to provide its valued customers with exceptional service during every interaction. All comments and experiences are important to us; we appreciate and welcome feedback. We have many satisfied customers and we are very happy to answer any questions or concerns. Please feel free to call us at 1-800-733-0888. Can you handle setting up a living trust? Hi Carol, we can absolutely help you with setting up a living trust. Our packages start at $249.00 or you may benefit even more with an estate plan bundle. Call us at 1-866-738-2980 for more information. Questions? Get answers from the LegalZoom staff and other customers. LegalZoom is the best way to get legal help for your family and business. Ask business and personal legal questions, get advice on specific situations, have an attorney review your legal documents and more.